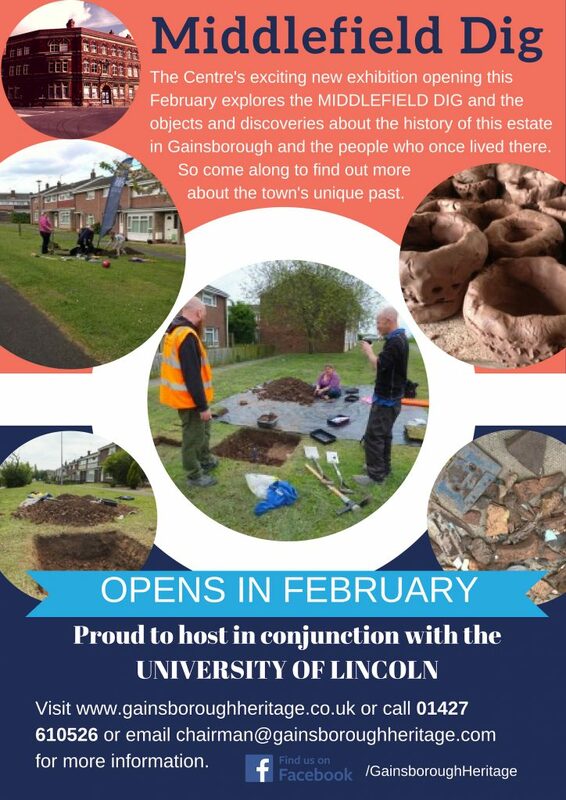 The Centre’s exciting new exhibition opening in February explores the MIDDLEFIELD DIG. The project team worked with residents and volunteers in Gainsborough back in 2016 to conduct archaeological excavations on and around the Middlefield estate, to find out about its recent history, and to discover history going further back in time. The objects found over the course of the dig that took four days and two weekends where residents and volunteers dug test pits across the Middlefield estate and at Hillcrest Early Years Academy will be on show at the Heritage Centre! The Centre’s exhibition is open three times a week, every Tuesday and Saturday 10am – 4pm and every Sunday 11am – 4pm.